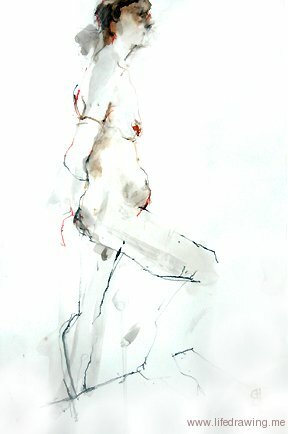 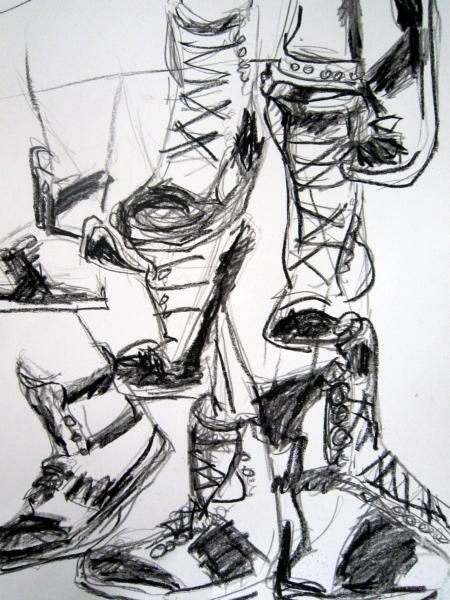 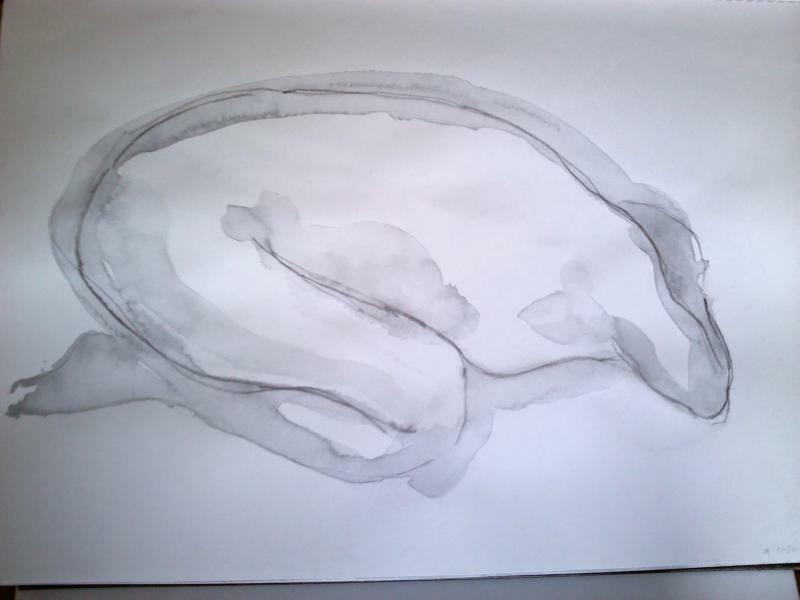 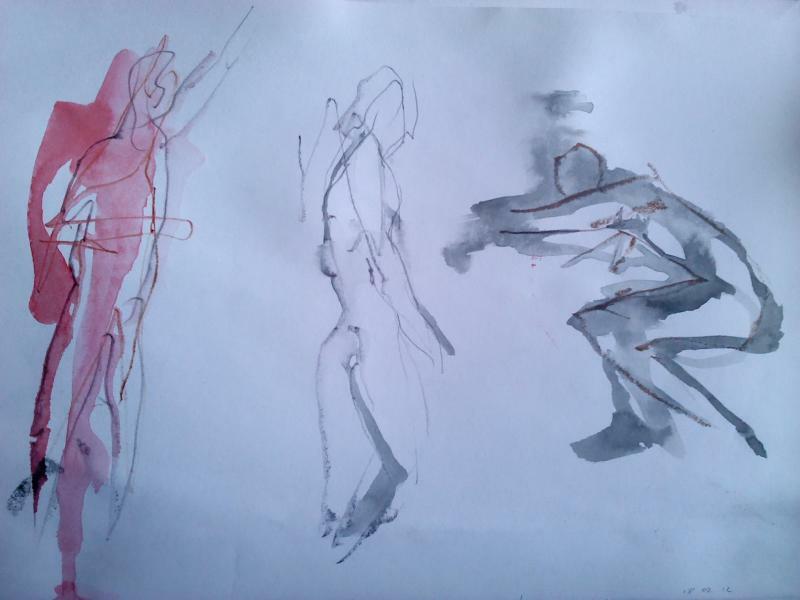 This is a mini gallery of rapid life sketches done in one or two minutes in all sorts of media by artists in Penzance Cornwall. 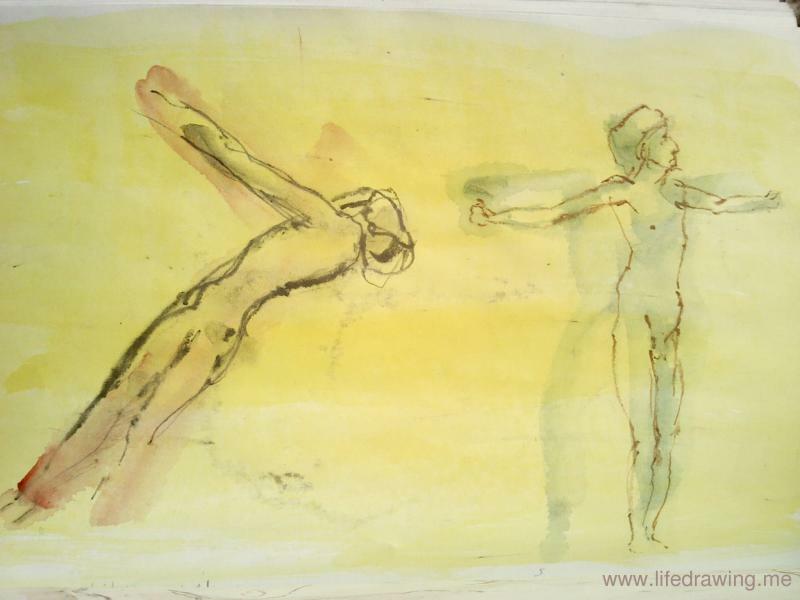 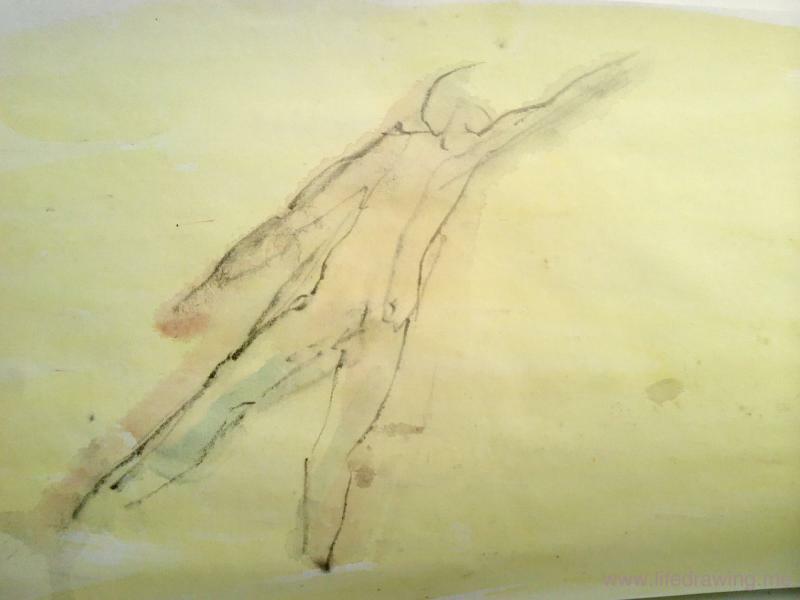 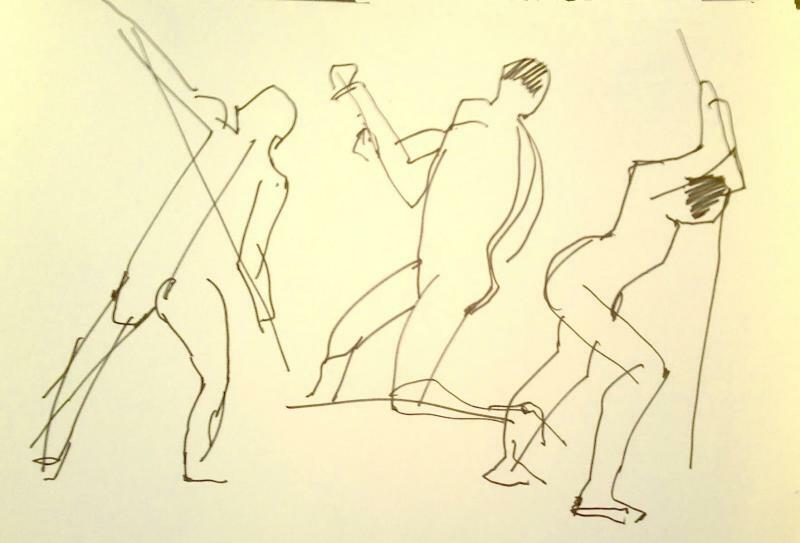 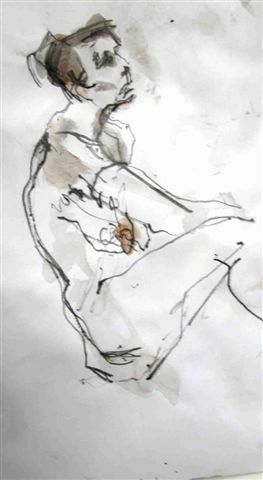 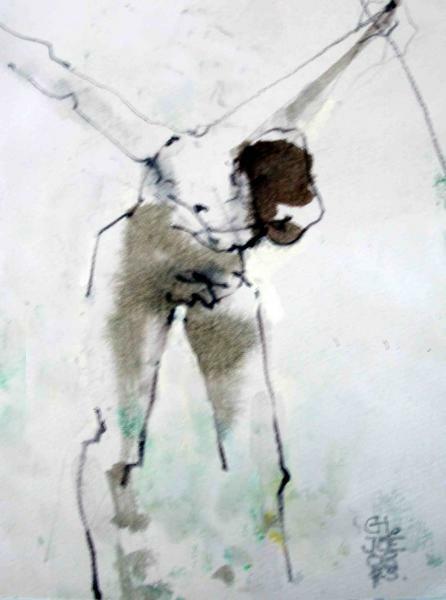 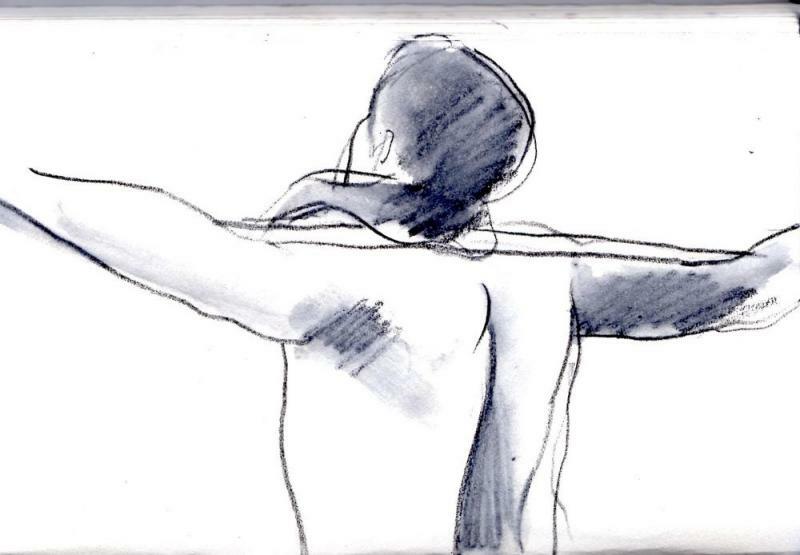 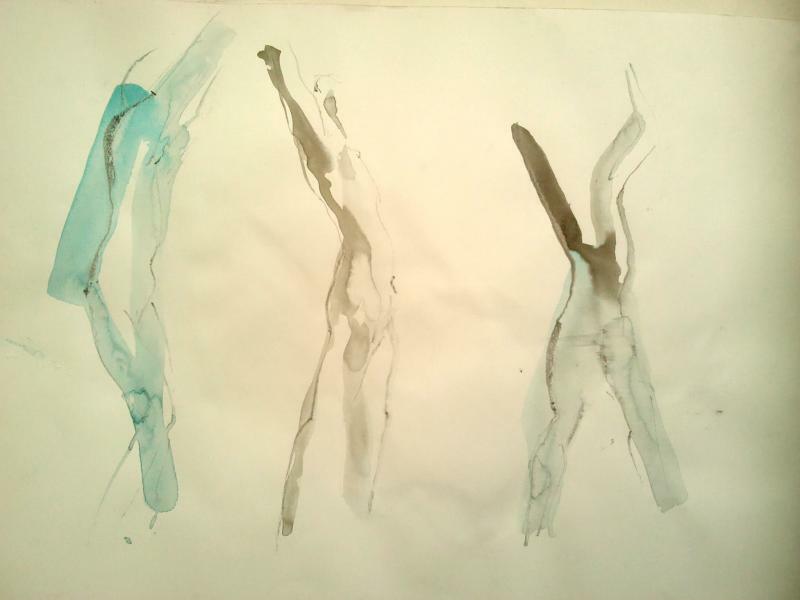 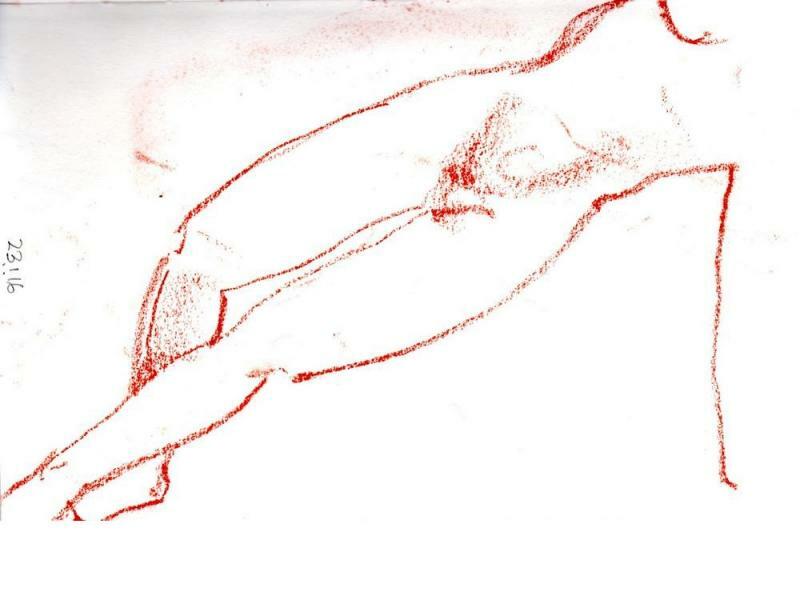 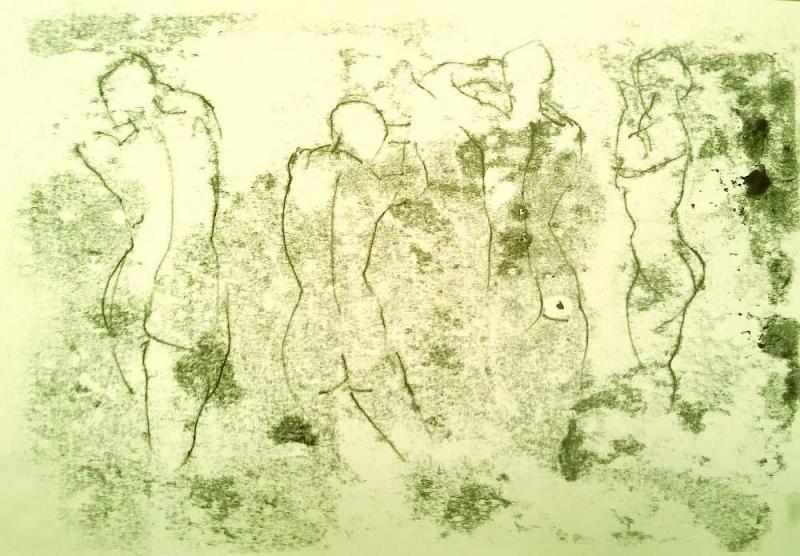 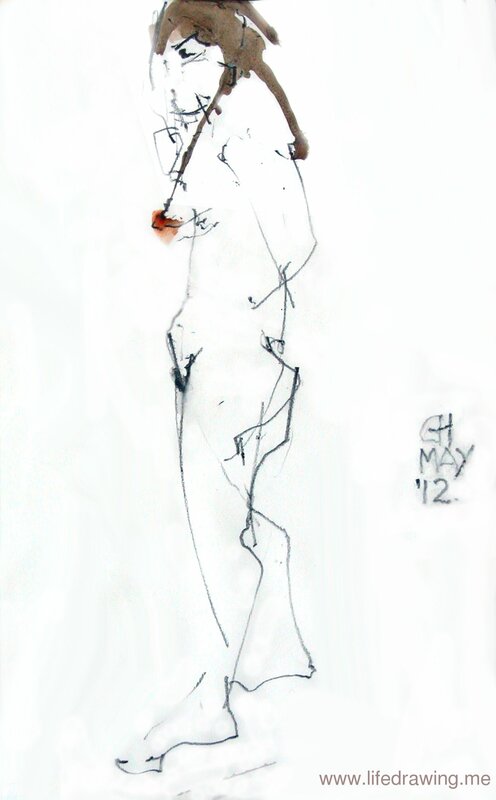 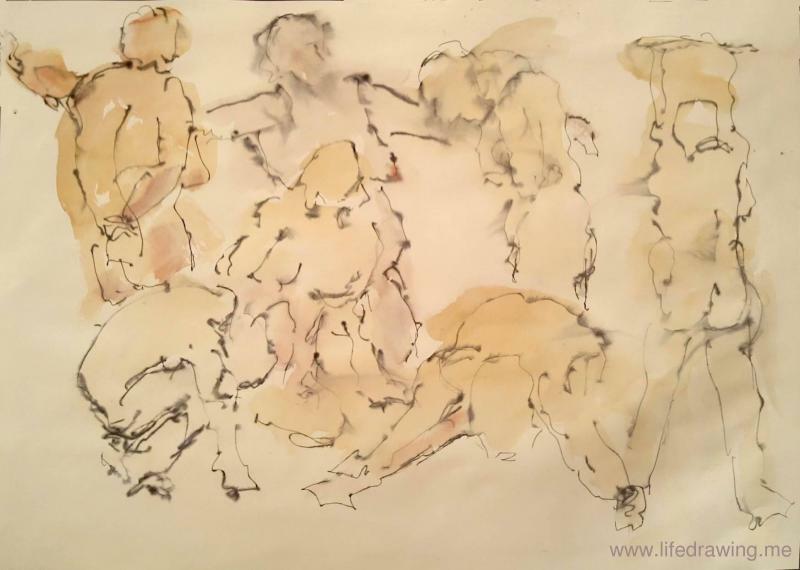 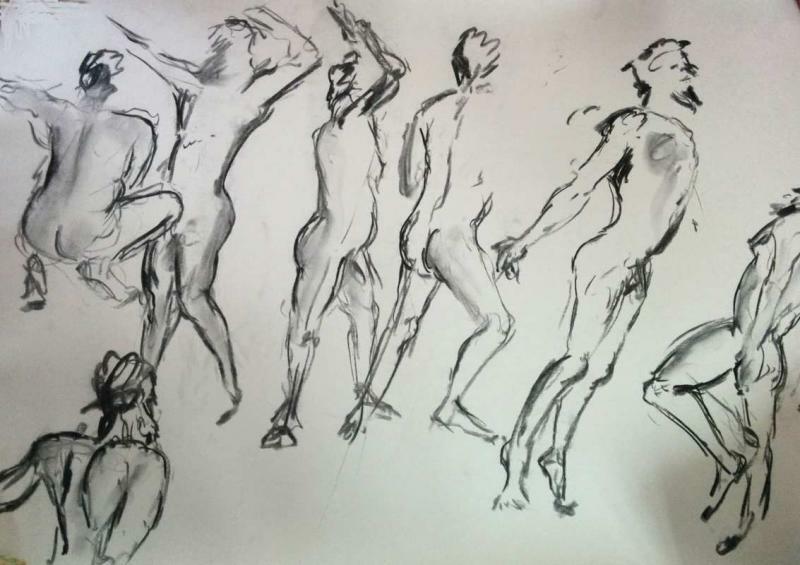 These gesture drawings can sharpen the eye and quicken the hand, often capturing the movement and essentials of a figure and pose far better than longer and more laborious drawings. 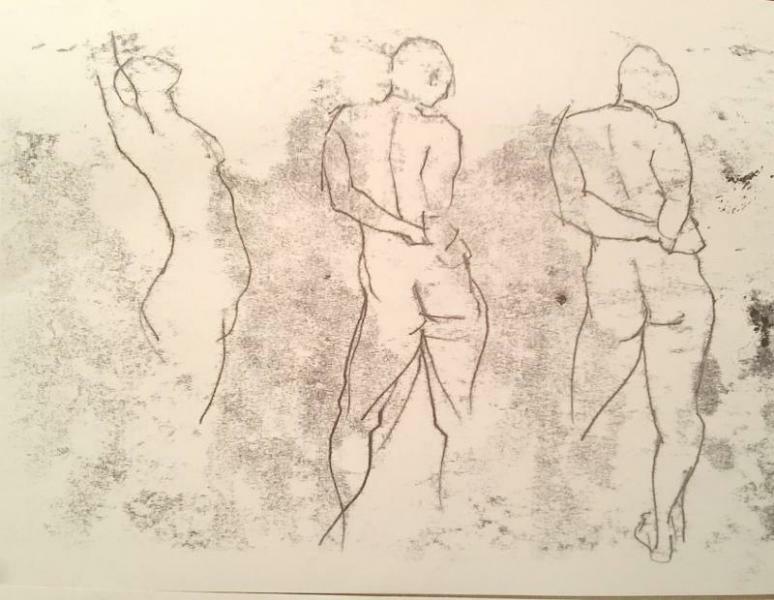 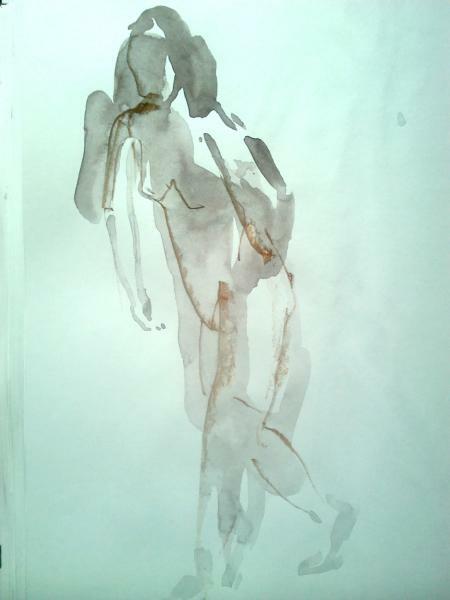 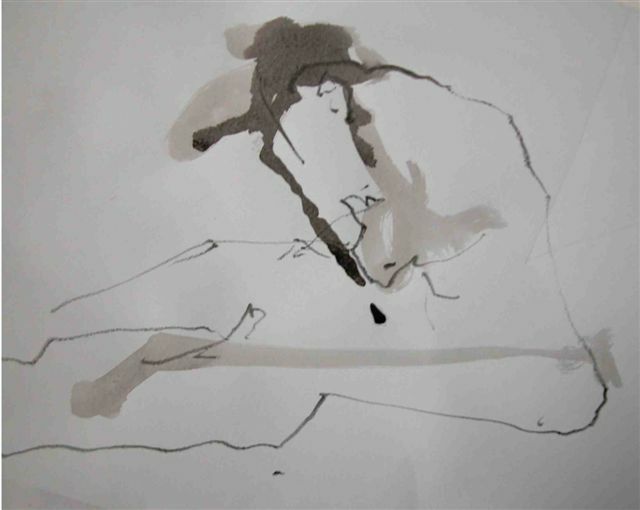 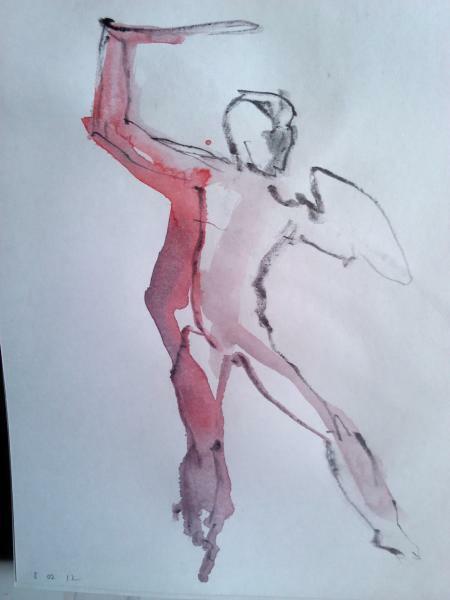 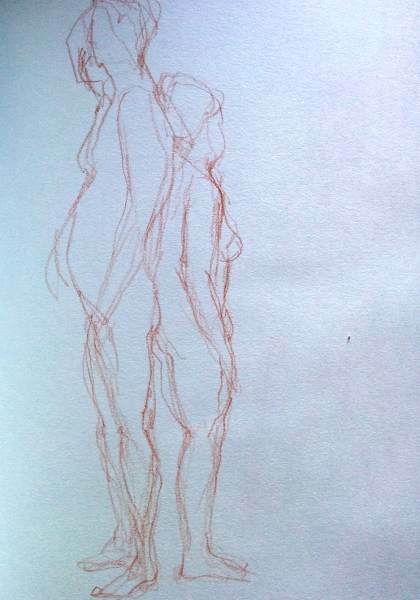 In fact after such rapid sketching going to five minute poses often feels very spacious, as the hand moves more fluidly than at the struggling start. 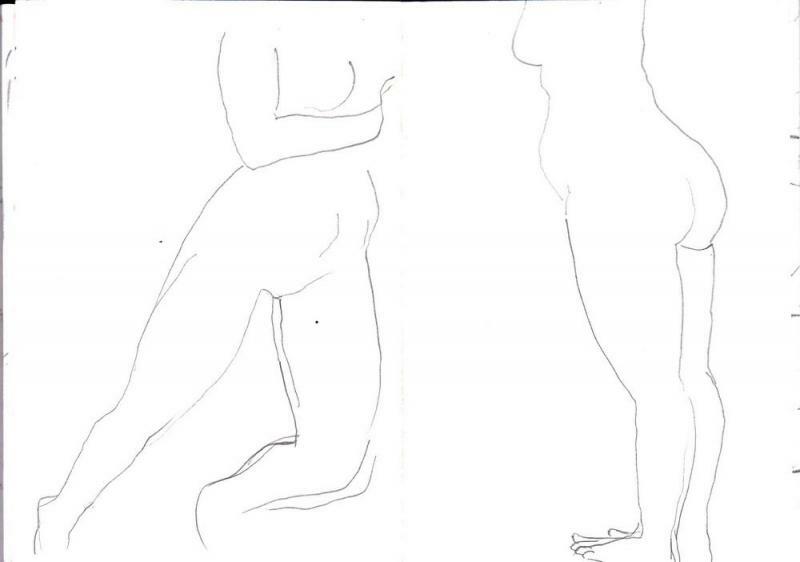 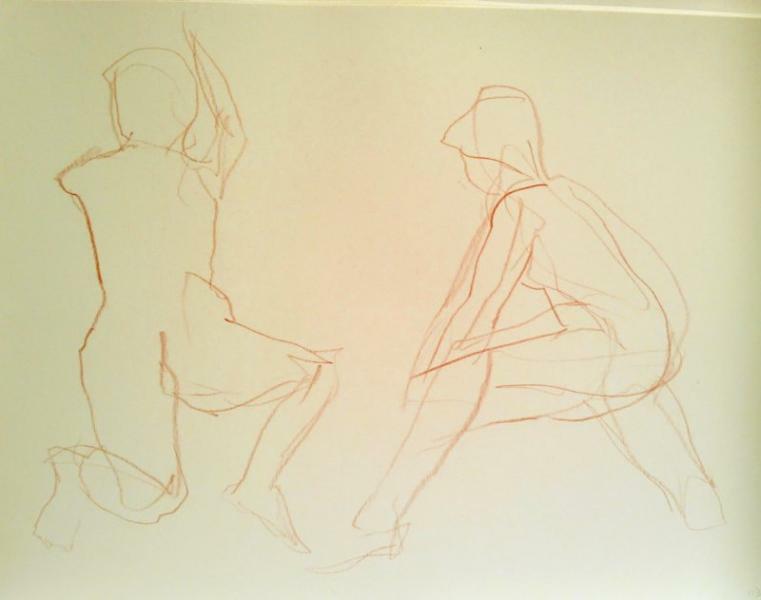 Shorter poses also allow life models to take much more dynamic and demanding positions than would otherwise be possible, and it can be interesting to draw a model in movement such as walking or dancing or doing tai-chi. 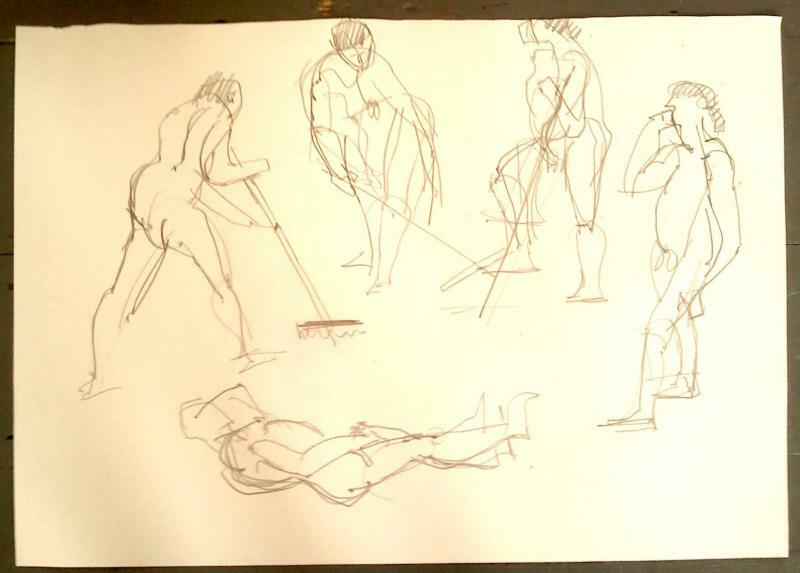 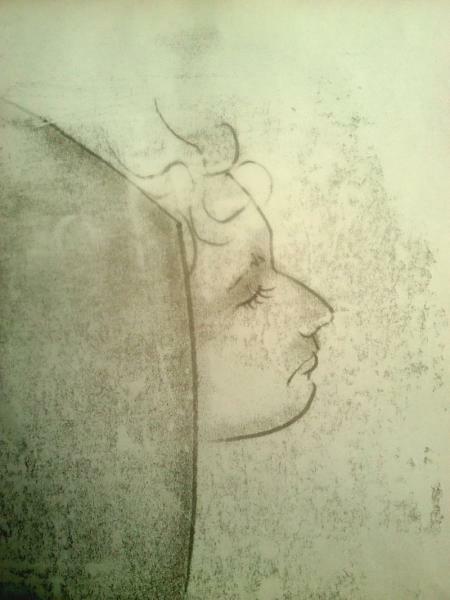 If you want suggestions on how to approach quick sketches you could try some of the drawing exercises and see how you get on.